This is a full day trek that is catered for the novice to experienced riders and is a great way to learn more or ride different terrain and enjoy a day up the head of the lake. In the morning you will ride the Rees River Trail, which will allow the experienced rider some opportunities to pick up the pace. 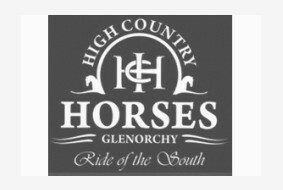 Following this, you will head to Glenorchy township where you can enjoy lunch before heading out to Paradise to ride the area involved in the Lord of the Rings. This trail, through the Paradise Trust’s forest and overlooking the Dart Valley, is set at a leisurely walk to give you an opportunity to take in these amazing views. By the end of the day, you would have crossed rivers, ridden in virgin beech forest, looked out over Isengard and seen vistas that will take your breath away. A fantastic horse ride for all levels of riding experience – come and enjoy the lifestyle! A great way to make the most of a unique day in Glenorchy. Long trousers, suitable sturdy footwear, sunglasses, sunscreen and your camera. 4-5 hour trek, allow 8 hours return. Allow travel time when booking other activities. 45 minutes travel time from Queenstown, although we recommend 1 hour to allow for photo taking. This full day trek caters for novice to experienced riders and is a great way to learn more or ride different terrain and enjoy a day up the head of the lake. In the morning you will ride the Rees River Trail, which will allow the experienced rider some opportunities to pick up the pace. After lunch we head out to Paradise to ride the area involved in the Lord of the Rings. This trail, through the Paradise Trust’s forest and overlooking the Dart Valley, is set at a leisurely walk to give you an opportunity to take in these amazing views.